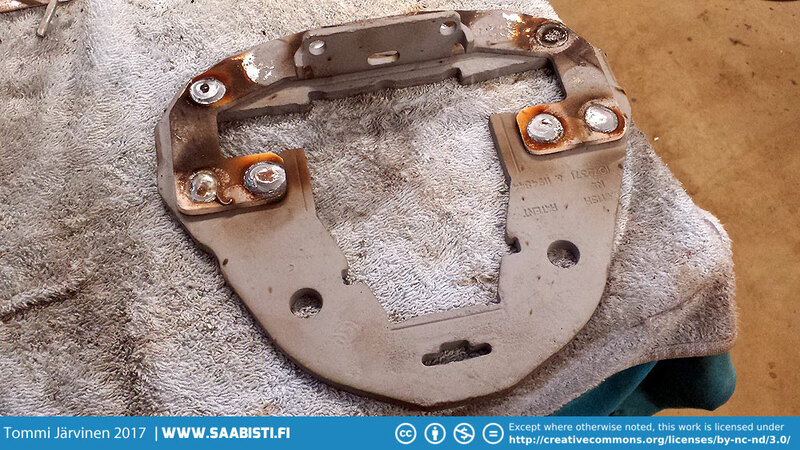 I decided to go by the route of fixing the brakes myself. This meant taking the original suspension completely apart. So a few photos on the brake job below. 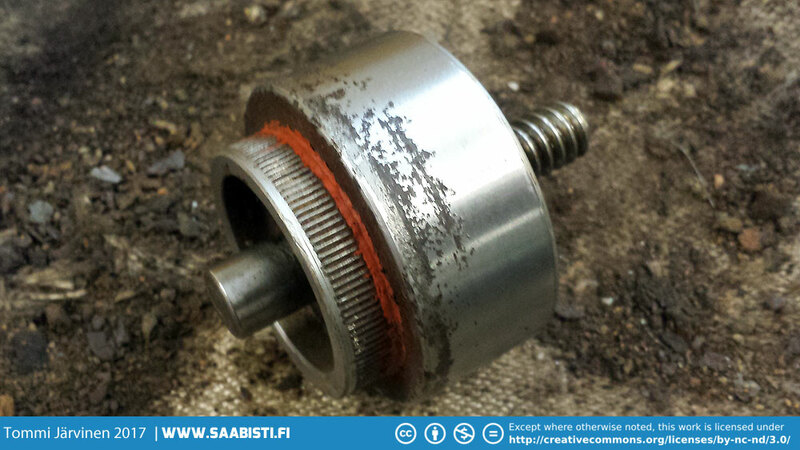 The rust was removed mechanically from the rear axle but as it had some pitting that was not cleaning out properly, I used rust converter to stabilize what ever little rust was left. Rust converter is basically acid mixed with a bounding agent. 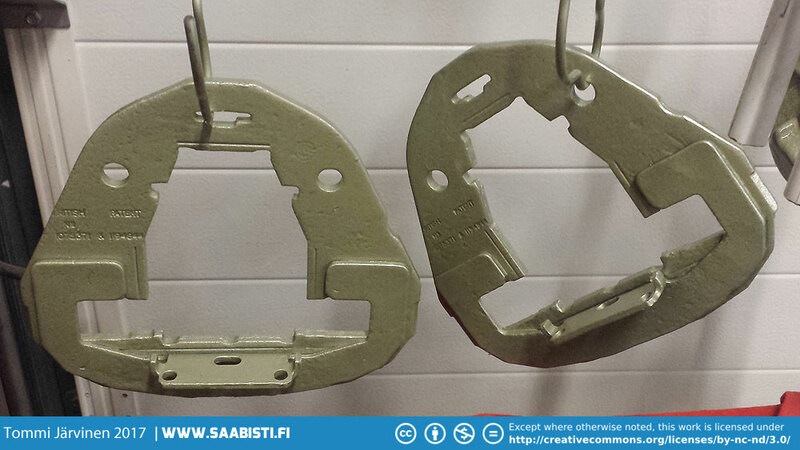 It stops the rust by converting it to a more stable form and forming a layer you can paint over. 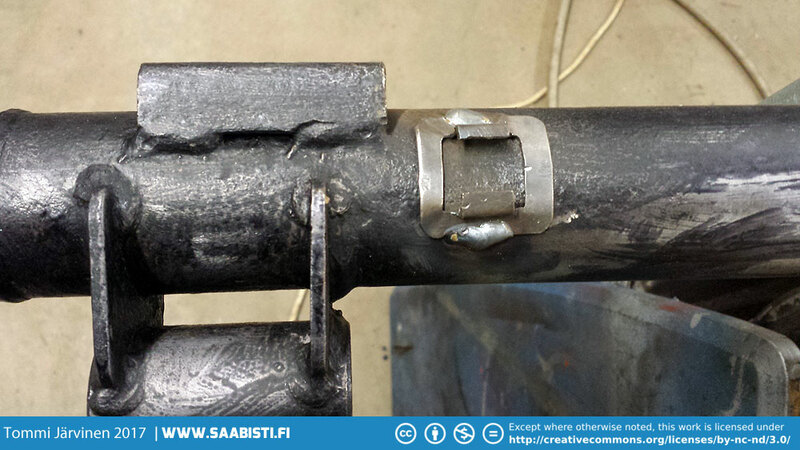 New attachment points for the brake lines were also made and welded in. The originals were gone. 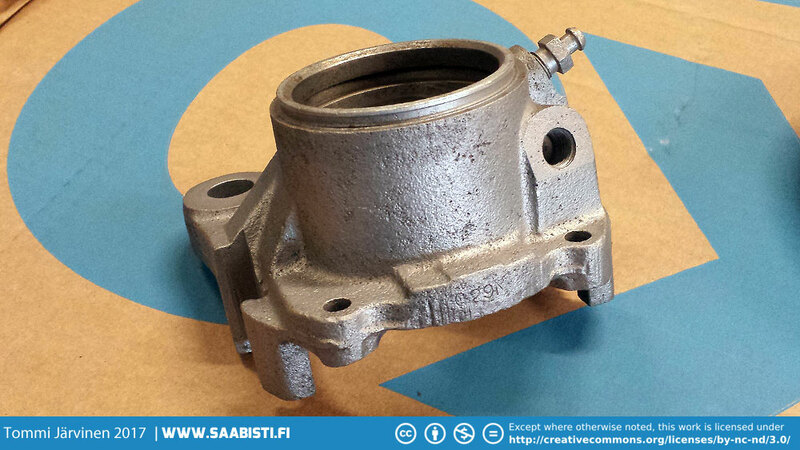 Primer on some of the rear axle components. 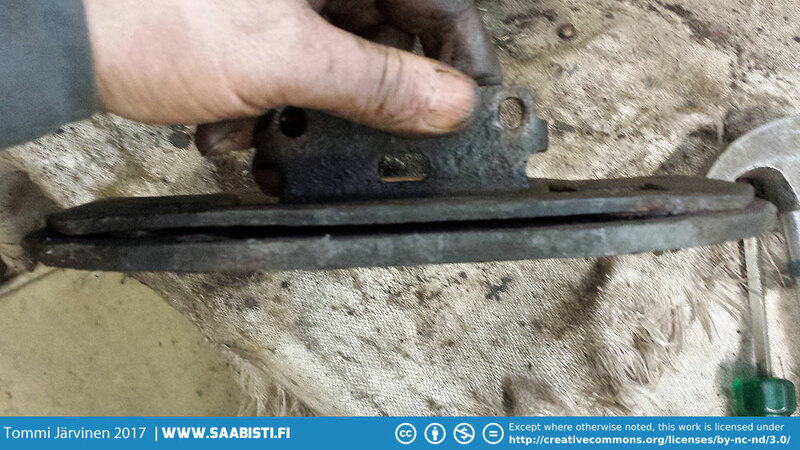 The dust shields were somewhat corroded so there was no point in trying to get them zinc plated. They would have looked terrible. So I decided to paint them instead and not buy new ones. 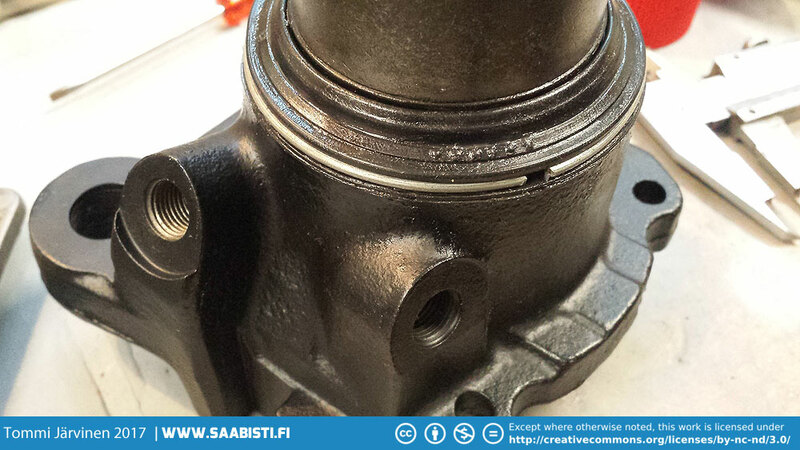 They are available from Saab Club Sweden though. 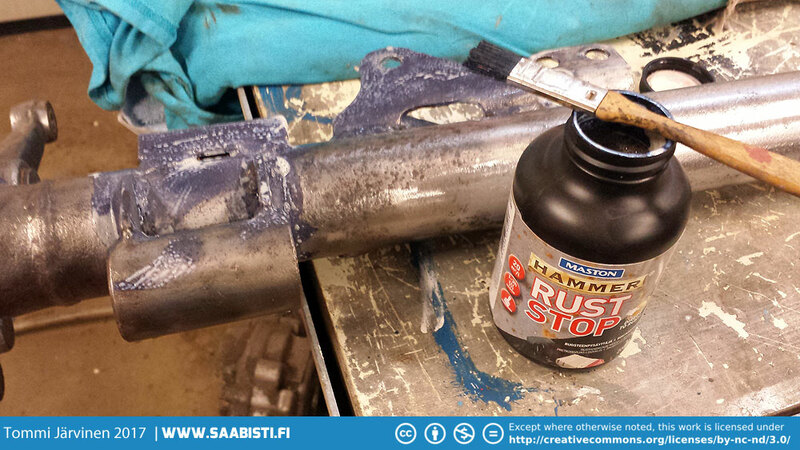 It’s pretty common for rust to form between the frame components and there is really no other way than drilling the pieces out and re-welding. 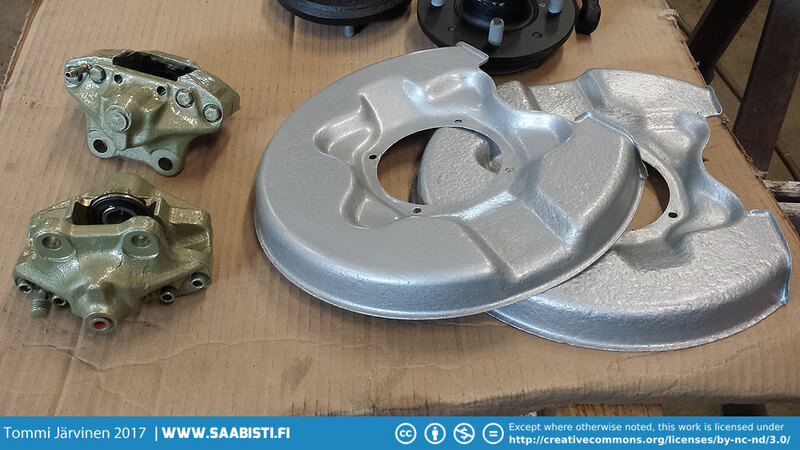 Some zinc paint between the iron components and re-weld. 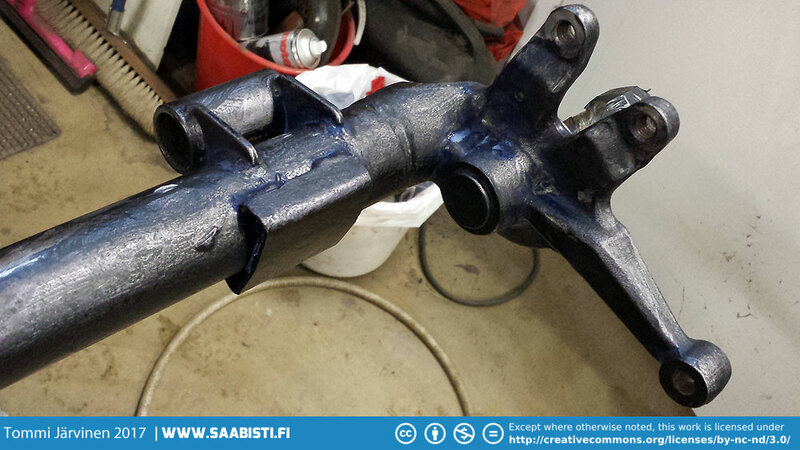 And the caliper frames after some paint. These would have been zinc plated and yellow passivated originally, but it doesn’t really last long. So I decided to paint them. 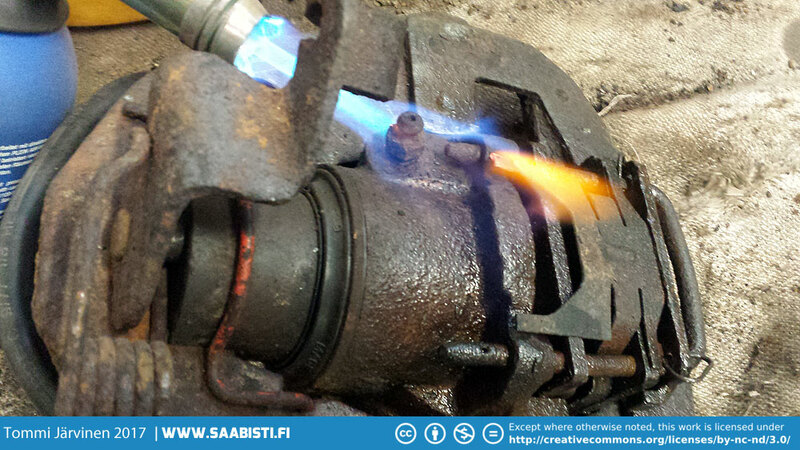 The front brake cylinder after some bead blasting. 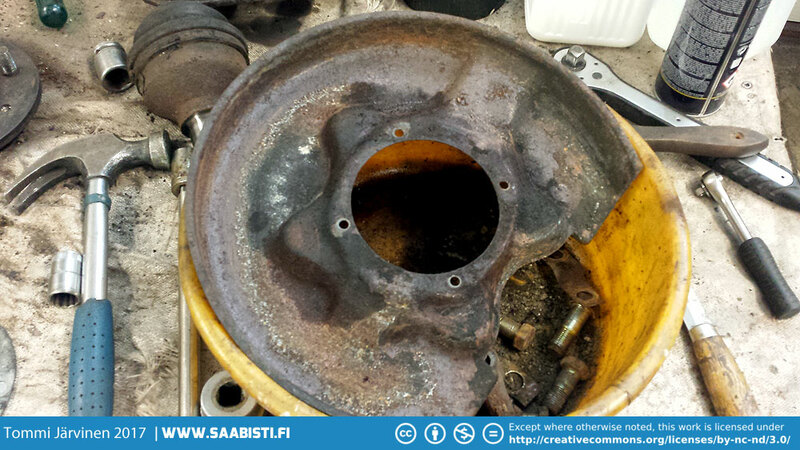 The Saab 99 front brake pistons can be a bit harder to find these days but using pitted pistons will just cause problems. It took a bit of searching but I got all the new pistons that I needed. 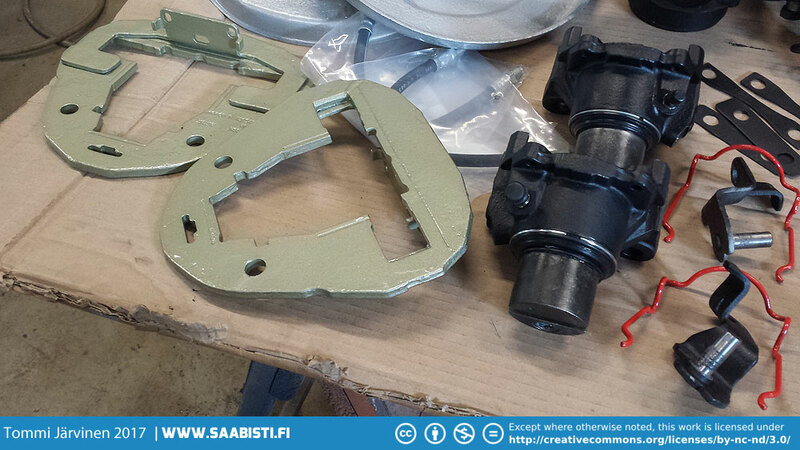 Assembling the front cylinders and pistons. 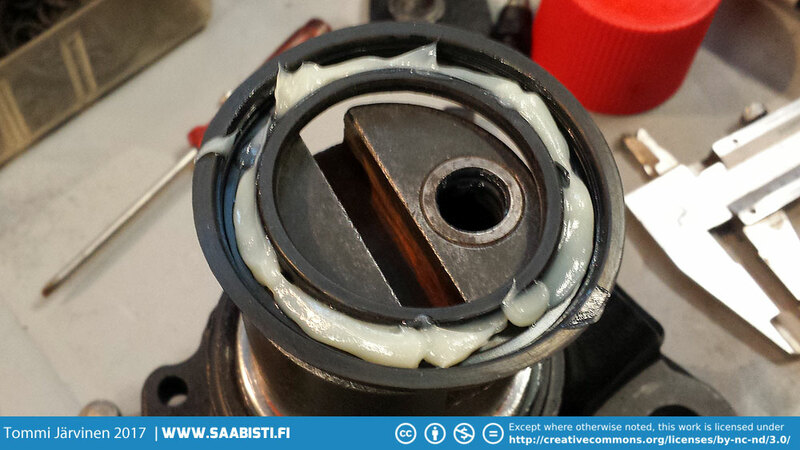 A generous amount of brake grease is recommended with installing the new seals. 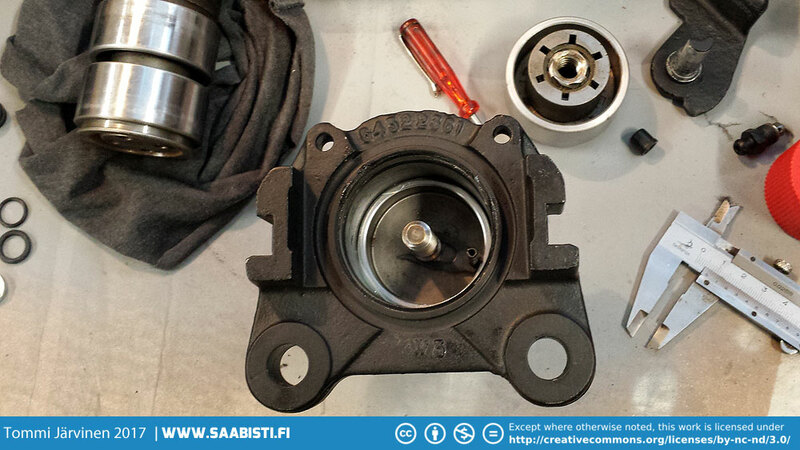 Rear brake calipers were also rebuilt with new pistons and seals..
And a closer look at the Saab 99 Turbo front caliper components. 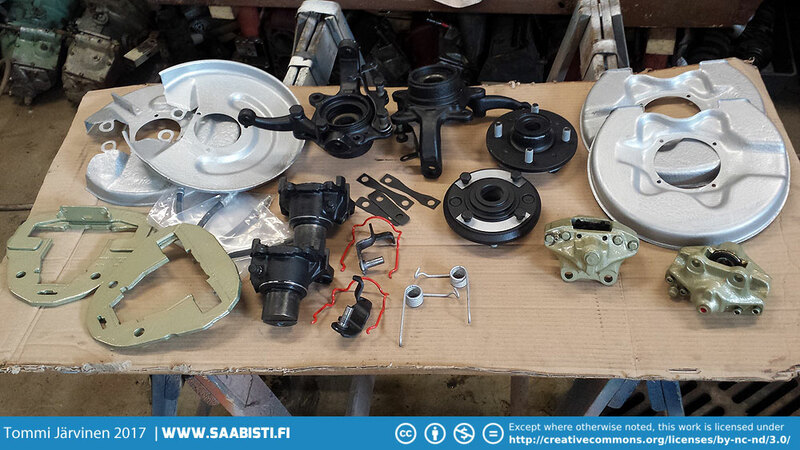 All the brake components are then pretty much awaiting installation on the Turbo. I also bought new brake lines, shoes and installation kits. 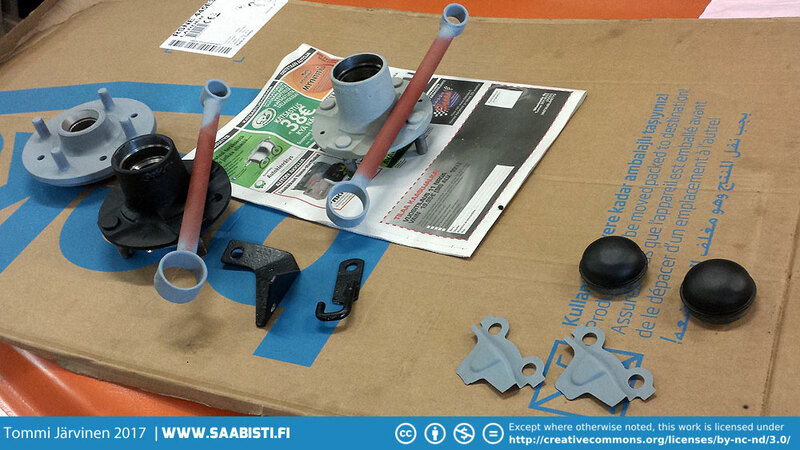 The brake lines and shoes were available at the local auto parts store but the installation kit I got from Saab Club Sweden. awesome! mine didn’t go smooth for the first time but it all works really well. always glad to see these updates! Nice job again. So fun and learning to see everything you do!! !